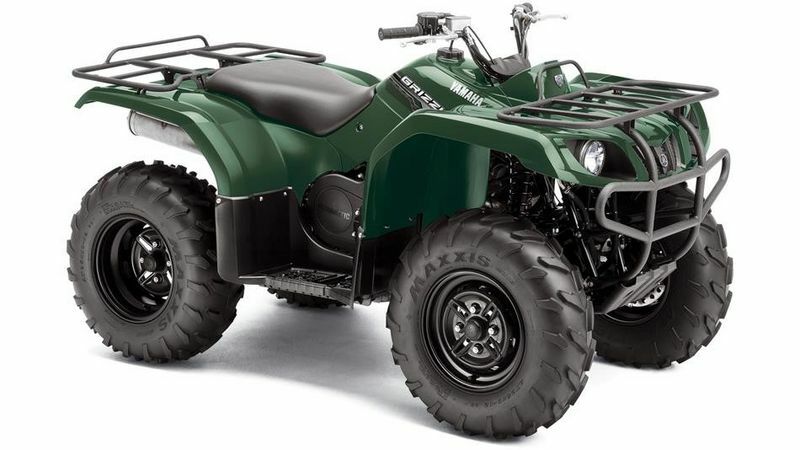 Take a lightweight chassis, superb handling and the power of a 348cc air-cooled, 4-stroke, single-cylinder engine and you get the Grizzly 350 2WD: an ATV that simply won't let you down. Two-wheel drive keeps weight to a minimum, bringing even more to the Grizzly 350 - responsive and nimble handling across terrain, plus low running costs. Immensely capable, the 350 2WD can transport a combined load of up to 120 kg on its front and rear cargo racks - just as much as 4WD models. Add double A-arm front suspension to the Grizzly 350's great handling and lightweight chassis, and you'll quickly appreciate the appeal of 2WD for the vast majority of riding duties.